Mara! and Martenitsa performed over 2 days at WOMADelaide 2013, with concerts and a dance workshop with Gary Dawson. We were thrilled to be able to present Tra Parole E Silenzio on stage 1. One of our audience caught up with us afterwards to say that he'd seen Mara sing many times now, but her performance of "Sorella" still brought tears to his eyes. Martenitsa featured soloist Silvia Entcheva, with Naomi Vaughan on cahun and Peter Kennard on darabukka. This was the third time that Mara! 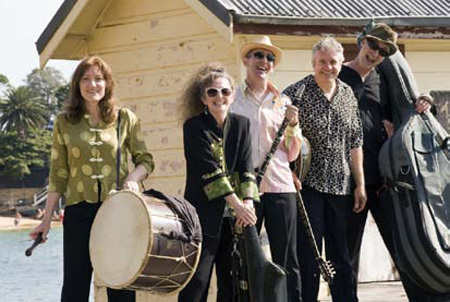 has performed at WOMADelaide since appearing at the inaugural festival in 1992. Since then Mara! has performed 3 times at WOMAD HQ in Reading, and at WOMAD festivals in Auckland, Singapore, Hannover and Morecambe Bay (UK). Martenitsa also performed at WOMADelaide 1992 and Reading 2005. If you had a Qantas flight around the time of WOMADelaide, and you were able to tune in to channel 16 for Annette Shun Wah's "Global Beat" program, you may have heard a feature interview with Mara Kiek, and 4 tracks from Tra Parole E Silenzio as part of the in-flight audio program. None of the flights we took en route to WOMADelaide had channel 16, so we weren't able to hear it ourselves. It seems world music on Qantas is reserved for the big jets! Mara! and Martenitsa performed at St Clements' Church in Sydney's Marrickville as a prelude to WOMAD. 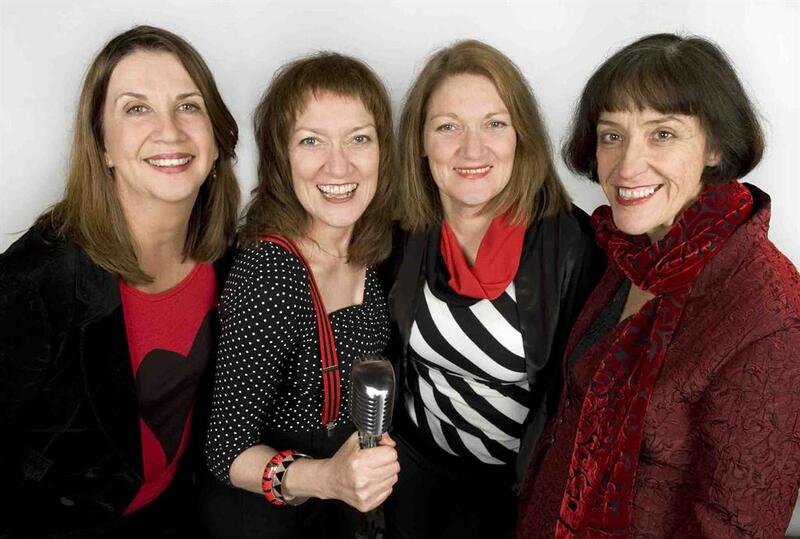 In May and June, the Humming Birds featuring Mara Kiek, Kate Swadling, Jarnie Birmingham and Lisa Spence toured in the Northern Territory for Musica Viva in Schools. With around 40 shows in Alice Springs, Darwin and Gove, the girls presented their mix of doo-wop, gospel, world and pop a cappella in their captivating schools program. Back in Sydney, the Hummies performed at the Glebe library in July for Musica Viva, in the first of a special season of concerts in the series entitled "Late Night Library". The concert was packed, and the girls delivered a great African-American themed performance especially designed for the series. Mara! toured the Far West region of NSW with about 3000 km ofdriving, 20 school shows and some long travelling days over a period of around2 weeks. Tracking from Griffith in the Riverina to Engonia, near the Queenslandborder, the tour visited some of the most remote towns and settlements in thestate. Engonia is about 100km northwest of Bourke, and is truly "Back ofBourke". The rewards of visiting these remote places are enormous, not just forthe kids and teachers seeing and participating in high quality music making -which is what the MVIS program is all about, but also for the musicians. Thelandscapes, sunsets, people and locations (including some pretty unusualvenues) are part of the stimulus for creating music and gainingperspectives on this vast country. Tim Clarkson (sax and flute) joined schools regulars Paul Cutlan, Brendan Clarke and Llew and Mara Kiek on the trip. Mara! performed their acclaimed schools show for Musica Viva in Schools over 4 weeks in the Illawarra and South Coast regions of NSW . Over their 25 years with Musica Viva in Schools, Mara! have toured this area several times. Mara! 's Musica Viva in Schools program is a world/jazz/multicultural performance which compliments MVIS' classical, percussion, jazz and vocal stable of groups and genres. Mara! 's schools touring party for South Coast was Paul Cutlan (clarinet, recorder and sax), Sandy Evans (saxes and voice) and Brendan Clarke (bass) along with Mara and Llew. Mara! and Martenitsa were joined by dance maestro extra-ordinaire Gary Dawson for a night of exuberant music and dance at Paddington RSL. Dubbed "The Big Dance", these soirees have become a feature of Mara! and Martenitsa's yearly activities. Its such a great feeling to dance to the superb grooves of the Mara! band's music and as an added bonus, the vocal depth of Martenitsa's dance songs. It doesn't matter what level of expertise you have in Eastern European dancing, Gary shows all, and caters for all levels of ability. Guest artists "Sveti Sava" and the "Bulgarian Rhythms Dancers" performed two showcase sets during the evening. Mara! were very pleased to perform for SIMA at The Sound Lounge, Seymour Centre. Former Mara! regular Andrew Robson was our special guest, joining Mara! regulars Paul Cutlan (saxes, clarinets), Llew Kiek (bozouki, guitar and baglama), Lloyd Swanton (double bass) and Mara Kiek (voice and percussion). Unfortunately Sandy Evans couldn't make it that night but was with us in spirit! Andrew performed on and wrote several pieces for Mara! 's latest CD "Tra Parole E Silenzio", and was a long-term full-time member of the band for more than a decade. He's still an irregular member!